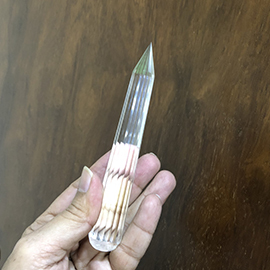 Keeping in mind the Pranic healing crystal wands are designed to give the laser effect and increase the power of the crystals many times to make healing easier and powerful. 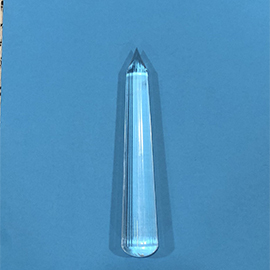 These crystals are generally 16 facets wand and are specially designed for cleaning and energizing and are used by Pranic healers. 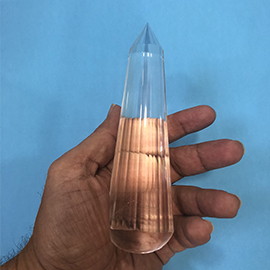 Quartz crystals are blessed by earth for healing energy. 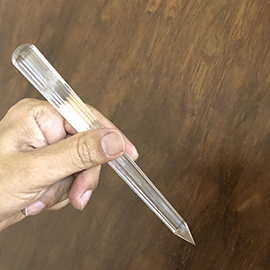 All our wands are handcrafted from quartz crystal mined from earth. 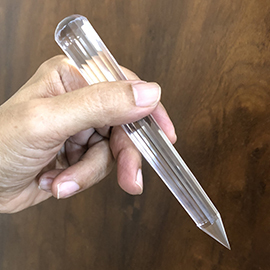 Pranic Healing wand and crystals section is especially dedicated to Pranic Healers and other crystal healers. 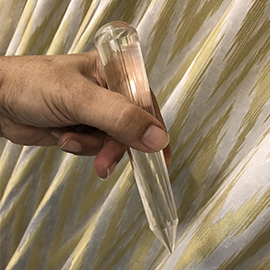 The wands kept in this section are almost 90% to 100% clean to increase the flow of energy and to focus the energy on the affected parts. 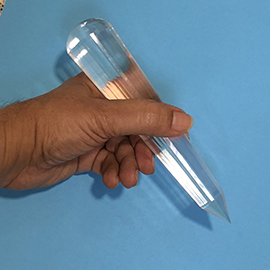 They can be used in the areas where our hands cannot reach and the energy is more focused for miraculous results. Each wand is designed with care to give the best. 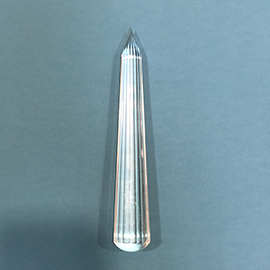 Length more than 7 Inches, 36 facets, Approximate clarity 97 %. Weight 294 grams.